Patek Philippe, Rolex, and the spirit of Genta. 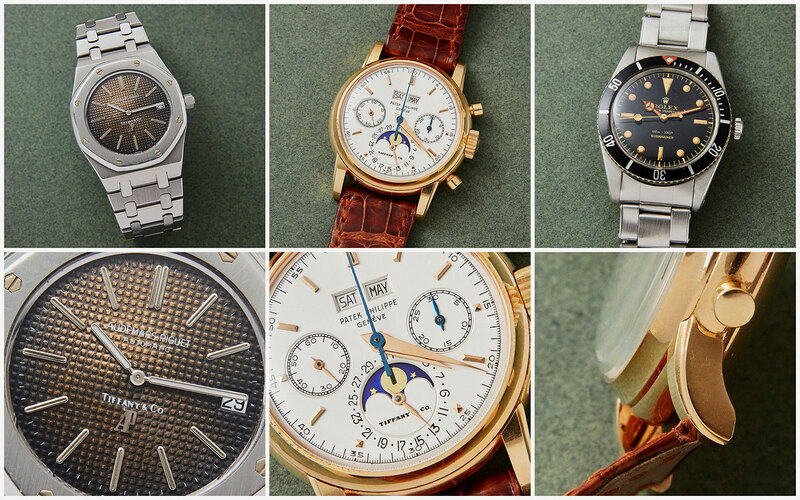 Hong Kong watch auctions tended to be populated, at least in numbers, by modern complicated watches and the odd example of independent watchmaking. But with strong demand in Asia for vintage watches – in fact a good number of the priciest vintage watches are bought by Asian collectors – historical timepieces are slowly but surely taking up more space in the catalogue. Sotheby’s has included a good number of vintage watches in its upcoming Hong Kong auction, which takes place on October 2. 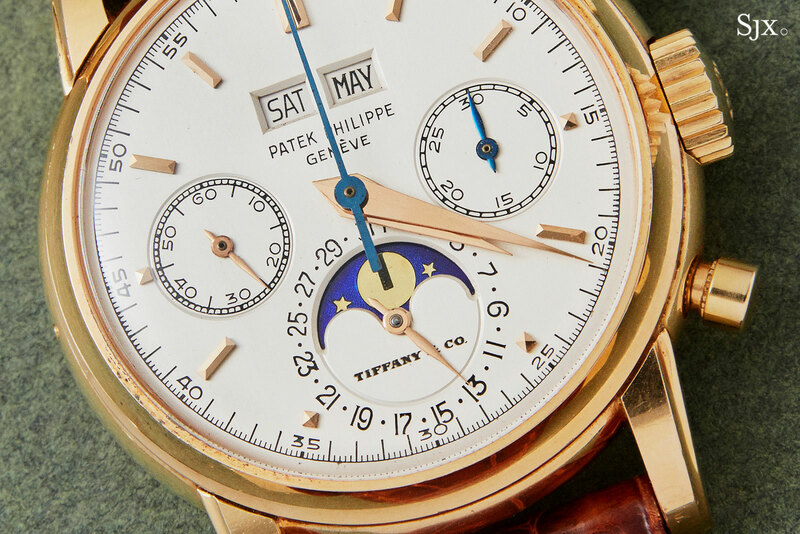 The highlight is undoubtedly a Tiffany-signed, third series Patek Philippe ref. 2499 in pink gold. 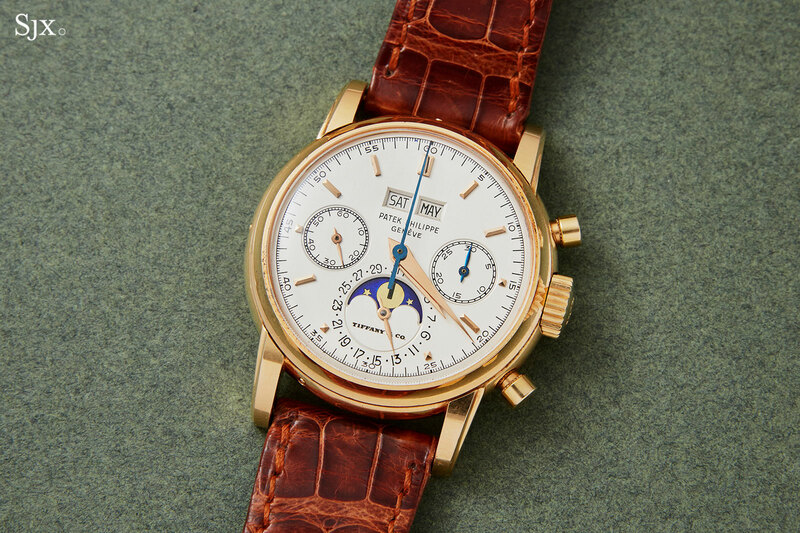 Here we take a look at one watch from each category of vintage watch collecting that’s now in vogue: Patek Philippe, Rolex and Gerald Genta-designed luxury sports watches. The rest of the catalogue is available here. A desirable watch as it is one of the formative references for an important watch model, the ref. 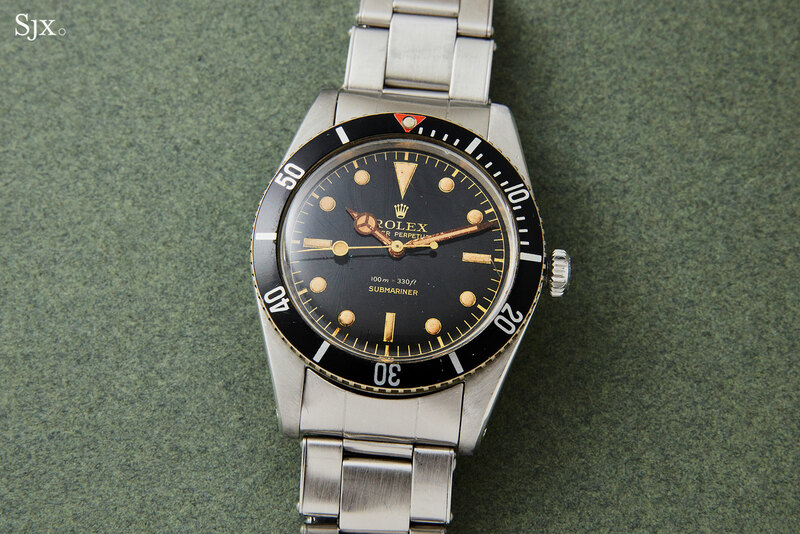 6536/1 is an early, though not the earliest, Rolex Submariner. Such early models are generally nicknamed “James Bond”, after Sean Connery wore one (specifically, a ref. 6538 “Big Crown”) in Dr No. Produced from 1955 to approximately 1959, the ref. 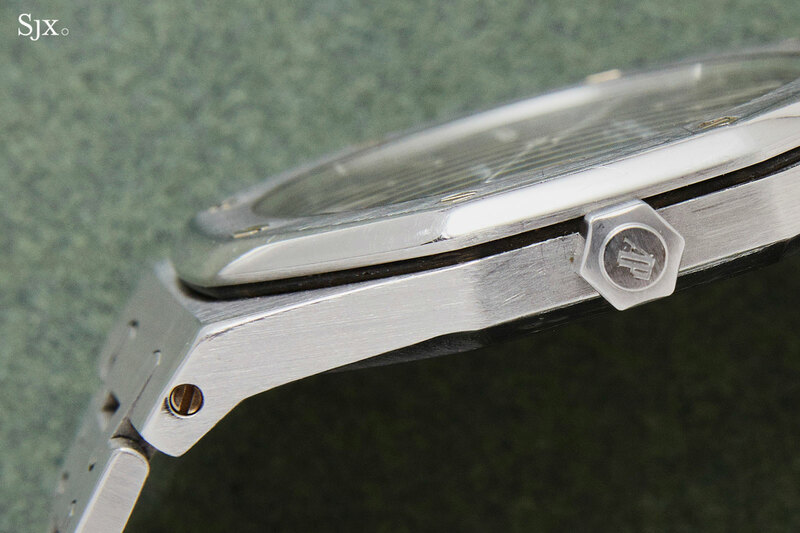 6536/1 is a “Small Crown” Submariner, named after the size of its screw-down crown. This example is from 1959, and is handsome despite showing signs of age. 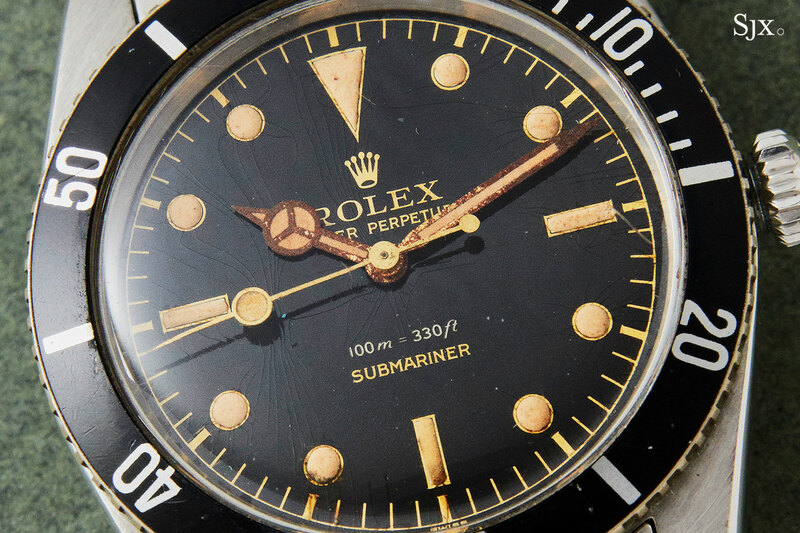 In fact, it’s one of three early Submariners in the auction. The black gilt dial has cracked surface lacquer, a phenomenon, like all else in vintage Rolex collecting, nicknamed “spiderwebbing”. The case is notably well preserved, retaining its original form as well as bevels along the lugs. The Submariner is estimated at HK$800,000 to HK$1.3m, or US$102,000 to US$166,000. 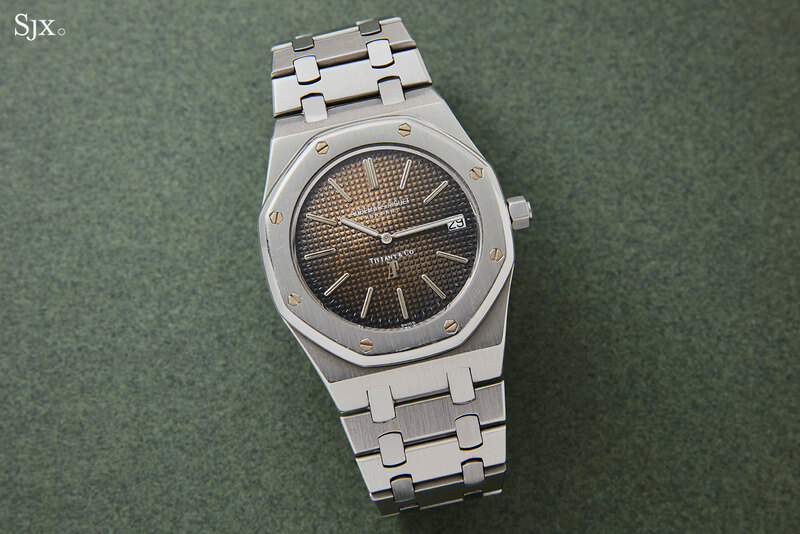 This is an unusual example of a 1976, “B-series” Royal Oak, the second production run of the iconic wristwatch after the initial 2000-piece “A-series” made from 1972 to 1975. 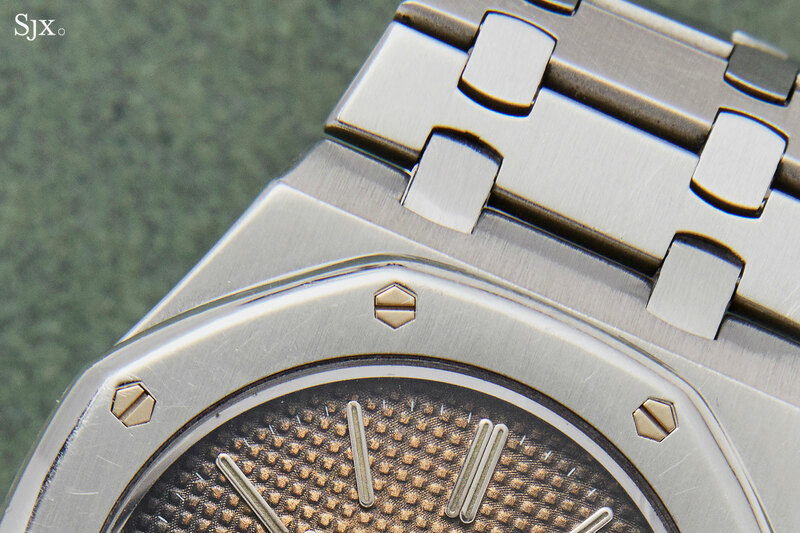 While the serial number prefix marks it as distinct from the “A-series” and subsequent runs, the watch is largely identical to the original Royal Oak, having the same case as well as dial with the “AP” logo at six. The dial is particularly striking, having aged to a variegated brown from its original dark grey. 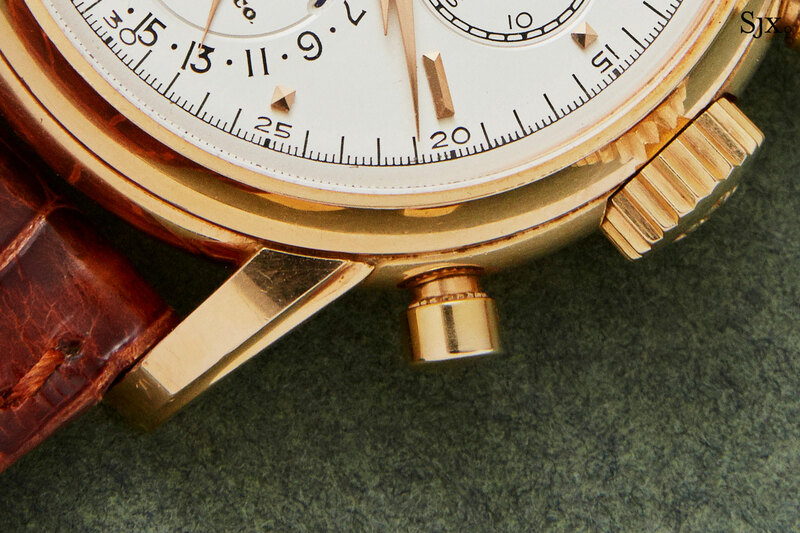 Particularly popular amongst collectors of vintage watches now, the “tropical” dial adds significantly to the value of a vintage sports watch in today’s market. 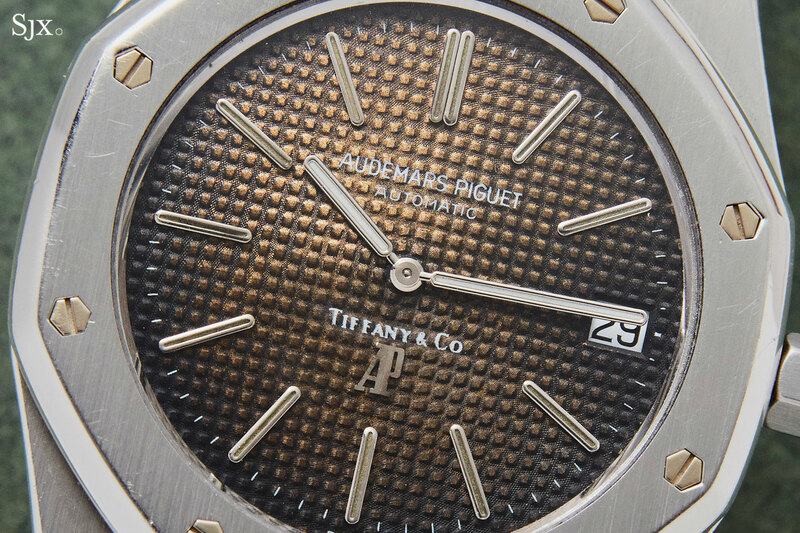 And that appeal is further enhanced by the uncommon Tiffany & Co. signature at six o’clock, just above the AP logo, indicating the watch was originally sold by the American jeweller (which once upon a time retailed a great variety of watches beyond its own house brand and Patek Philippe). Double-signed early Royal Oaks are extremely uncommon, regardless of the retailer signature, with only a handful having come up at auction. 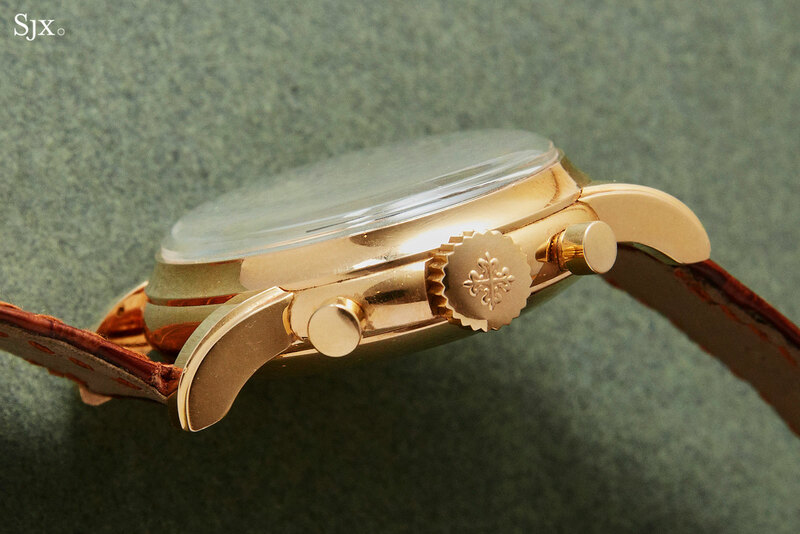 And because Tiffany’s is widely known, and boasts a significant historical presence in watchmaking, its name tends to carry a little bit extra cachet. 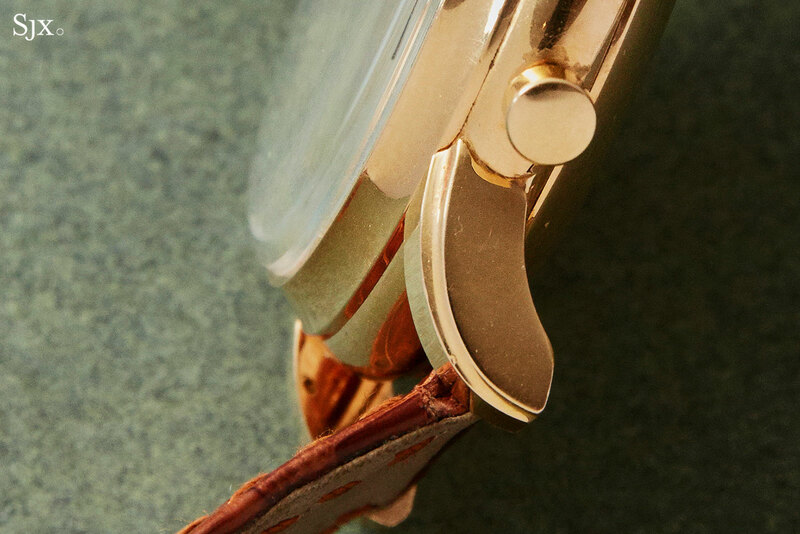 While the case and bracelet still have most of their original form, the watch has been obviously polished in the past, with the bezel have particularly soft edges. The bracelet also exhibits a fair amount of looseness. 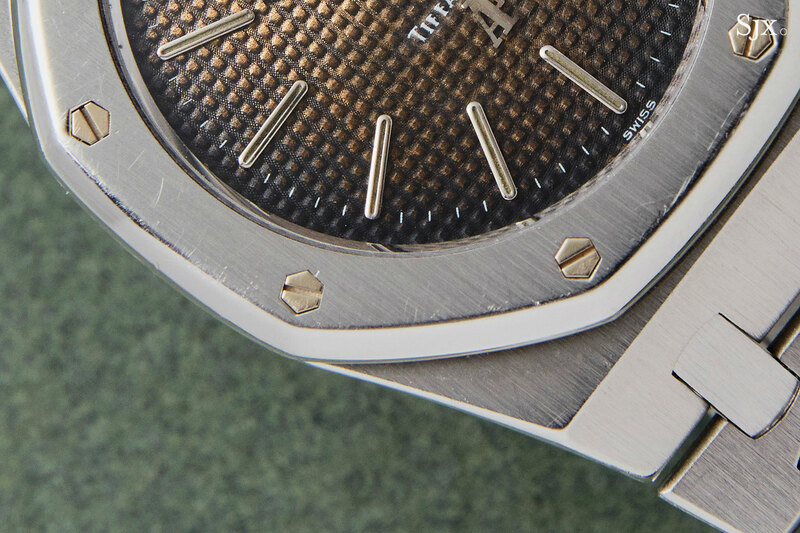 Fortunately the cosmetic condition of the case and bracelet can be restored at AP, albeit at considerable cost. 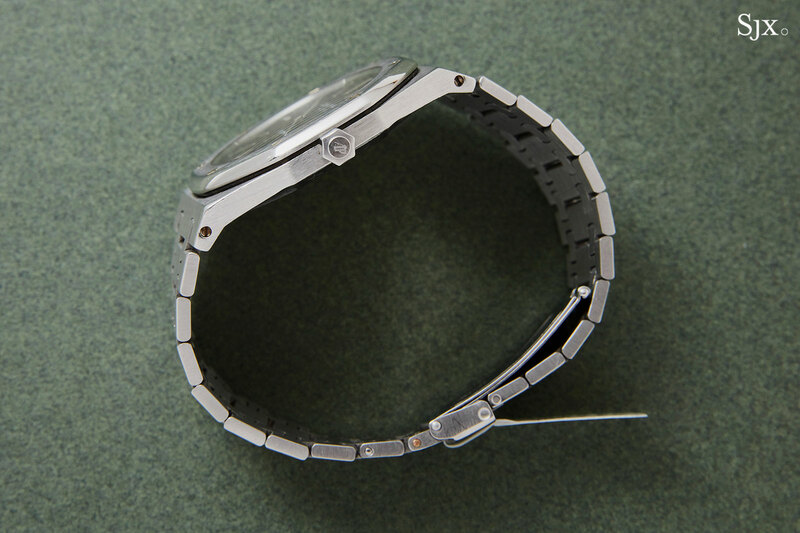 Even the bracelet can be replaced with a correctly sized modern example, which AP now produces (or soon will) but with markings indicating it is a service replacement. And most importantly of all, the case and movement numbers match according to AP’s records, which further reveal the watch was sold in New York in 1976. While the vintage Royal Oak “Jumbo” has rising substantially in value in the last several years, it still lags behind its only peer, the Patek Philippe Nautilus, in value terms. The Royal Oak appears to be on its way to catching up, slowly but surely, which is why this is likely to sell closer to the high estimate than the low one. This Royal Oak is estimated at HK$200,000 to HK$400,000, or US$25,500 to US$51,000. So it will come as no small surprise that another vintage highlight in the sale is also carries the New York jeweller’s signature. But what is surprising is that it is a third-series ref. 2499 in pink gold, which inevitably means it is a million dollar – US dollar – wristwatch by a considerable margin. Surprisingly because such big ticket vintage watches are typically sold in Geneva, or sometimes New York, where vintage watches tend to have a greater share of the catalogue. Already the 2499 is a tremendously desirable watch, being rare, historically important (being one of the earliest, serially produced chronographs with perpetual calendar), as well as handsomely sized at 37.5mm in diameter, making it eminently wearable even by modern tastes. 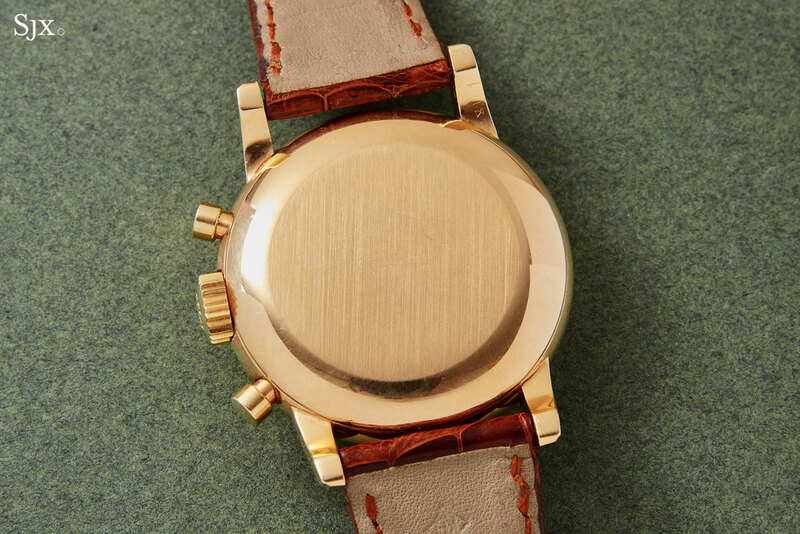 This watch has a low estimate of US$1.5m for three crucial reasons. The first being the most obvious: the Tiffany’s signature at six o’clock. The second is the pink gold case. The vast majority of ref. 2499s across all series are in yellow gold. Only six pink gold third-series watches are known, across a total production run (encompassing all series) of well over 300. The third is the condition, which is crisp. Any servicing or polishing that was done since it left the factory in 1972 was artful and sympathetic, leaving the watch in handsome condition. The lugs in particular retain the pronounced lengthwise flute on their top edge. And the inside of the top left lug is also stamped with the last three digits of the case number, as is correct for the watch. This is its second outing at auction, having first come to market in 2005, when Christie’s sold it on behalf of the original owner for US$777,6000, all fees included. It is now being sold by the collector who bought it in 2005, meaning the watch has had only two owners in its almost 50-year life. The 2499, produced in 1971 according to the archive extract, is estimated at HK$12.0m to HK$18.0m, or US$1.50m to US$2.25m. Sotheby’s Hong Kong watch auction takes place on October 2, 2018 at the Hong Kong Convention and Exhibition Centre in Wanchai. All lots will be exhibited prior to the auction from September 28 to October 1, at the same location. The full catalogue is available online here. This was brought to you in collaboration with Sotheby’s.